Note: this advice is geared for beginners. Beginning guitar players often ask, “should I start with acoustic or electric?” and the advice they get varies. 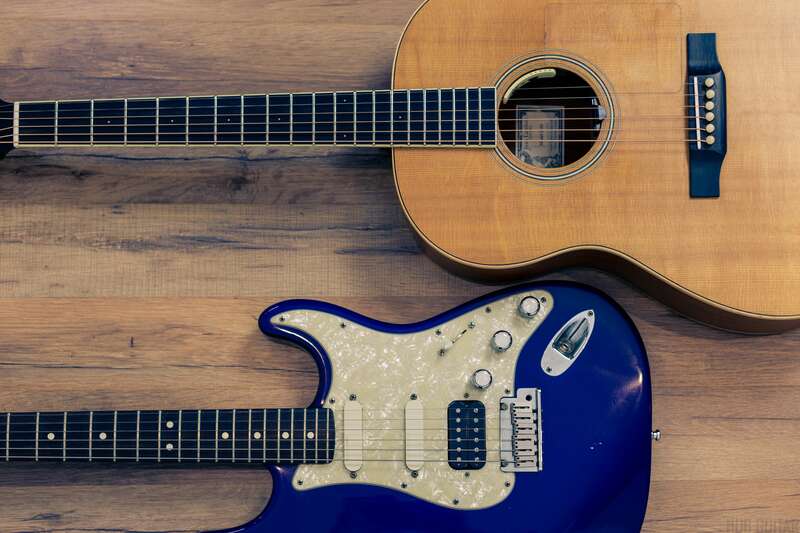 Most beginners at the guitar will start on an acoustic, and acoustic guitars are now outselling electric guitars. Even though acoustic guitars can be a little bit more difficult to play, they are simpler and easier to understand. They require no electronics, wires, dials or knobs. They have a tone that sounds good in almost any style of music, and a timeless appeal. There is a (somewhat flawed) theory that beginners should learn this instrument first. This theory is based on the presumption that new players must be shielded from the discomfort of painful fingertips, and the plastic strings of this instrument are indeed easier to work with than steel. However, it is difficult to master the classical guitar. In the hands of a beginner, the nylon string guitar will sound more like a toy than an instrument, whereas steel strings are more forgiving and will reward even beginners with sweet sounds. Nylon-string guitars are, side-by-side, more expensive than equivalent steel string guitars and have fewer options commercially available, owing to its comparatively weaker popularity. In addition, it is typically used for a narrower range of repertoire revolving around classical, Spanish and Latin guitar styles. This would be a great choice if your interest is primarily in those styles, otherwise you should look for a steel-string guitar, which is what most people today play. Note: Acoustic guitars can play nearly all styles, but are particularly well-suited to playing fingerstyle and classical guitar. *It is recommended that beginning acoustic guitar players use light gauge strings. This will help you avoid discomfort. As you advance, you may find that you prefer bigger strings. In addition, strings can be detuned a full step to make them even easier to play. Here are some specific acoustic guitar recommendations. Note: Electric guitars are used to play every style, but especially blues, funk, rock and metal, which use specialized electric guitar techniques and effects. When in doubt, you should follow your passion: choose whichever guitar you’re more interested in. If you remain indifferent after reading this it is probably best to start with an acoustic guitar. Acoustic guitars are by far the most common instrument for beginning guitar players to use. If you have a strong interest in learning electric guitar, or you find playing acoustic guitar notes to be too difficult, consider getting an electric guitar instead. If you’re new to the guitar and you’re not sure, get an acoustic. With luck, eventually you’ll have both anyways.